City Architecture Office have secured planning consent for a new apartment building close to Holyrood Park in Edinburgh. The consent for eleven residential apartments completes an existing terrace leading to Duke’s Walk & St. Margaret’s Loch in Holyrood Park. This is a prominent site which will offer homeowners views to Calton Hill and is within easy walking distance of the Scottish Parliament. Initial planning concerns over roofscape & materials were overcome, and the proposal secured a clear recommendation for approval. The units are a range of sizes from studio to three bedroom. All top floor units are duplexes enjoying generous living spaces and views across Edinburgh. 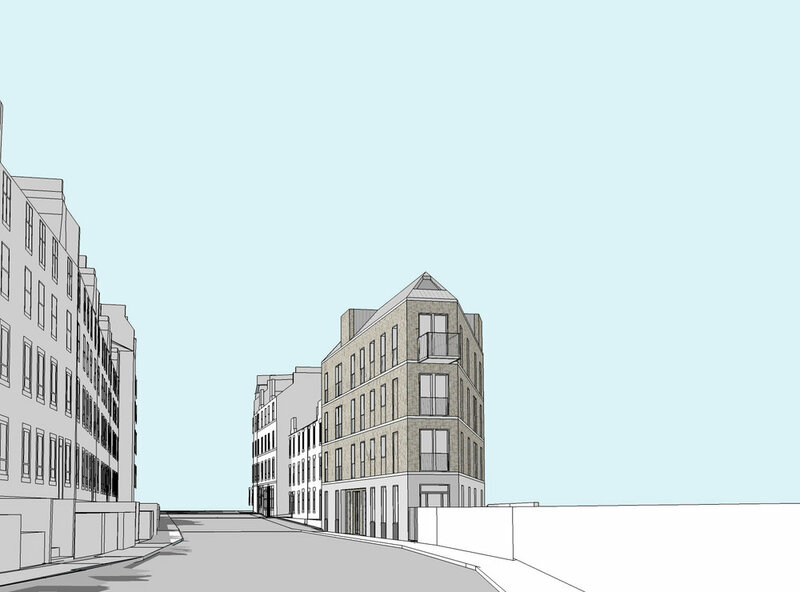 This consent on a previously underdeveloped site will provide good quality car-free homes in a central location, enjoying a communal roof terrace.